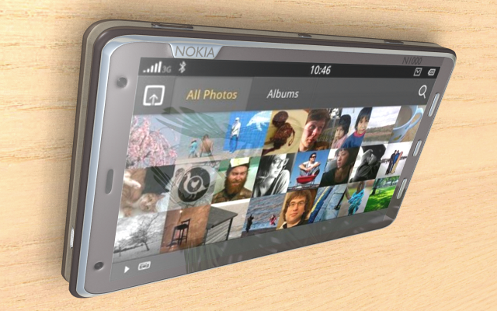 The Ultimate Convergence Device – Nokia and the MeeGo tablet phone. Convergence devices are forever promised, a device that fits comfortably in your pocket, can make phone-calls, plays all manner of media from books to music to video, will play games, handle basic office tasks such as documents, email and PIM tasks, as well as acting as a hub for your various groups of online friends via social networking and IM, with a vibrant development community and a non-restrictive platform, but has such a device ever arrived? Arguably not, most notably because of the conflicting challenges of making a device big enough to both display a lot of information information and house some serious power, and then small enough to remain pocket-able in a way that allows it to be always at hand. Will we ever reach this Nirvana? OpenGL and 2011 as the year of Linux – Will it be because of Apple and Valve? Somehow, no matter how many “will 20xx be the year of Linux” articles get published every year, the moment never seems to arrive and why is that? Linux has been packaged into great consumer desktop OS’s for at least six years, and by that I mean that even a novice could use it. Since that point Linux distributions have had a reasonable plug-n-play install experience, there were distros with sophisticated management tools that negated the need for command-line wizardry, the desktop environment was recognisable and usable by windows/mac users, and tools for packaging, distributing and installing apps were becoming common place. This blogger has been using SuSE flavoured distro’s since 9.1 was released in 2004 (thank you Novell for that free promo disk). Arguably, Linux has been a useful desktop OS for even longer, provided you were more technically minded, as can be attested to by the native Linux ports of games like the Quake and Unreal Tournament series which hark back to the end of the 20th century, so what happened………. Ah gaming, that’s what has been missing from this whole desktop Linux equation, somewhere along the line it all went awry, the games dried up and somehow the great desktop revolution never happened. After all, we all know you can browse the web just fine under Linux, they even have flash support, just as we all know that the desktop experience is pretty polished these days, and that there are some truly stellar apps which compete toe-to-toe with the best windows and Mac equivalents, even better, you never have to worry about viruses or trojans, but what is that without games!